Terri Behr has been an interior designer with City Furniture since 2004. The senior designer tracks trends that are picking up steam across the country and helps make them achievable through the South Florida-based furniture company. So, what’s one trend sweeping across the tri-county region (and beyond)? That’s easy. Just turn on your TV or visit a Target to see firsthand. 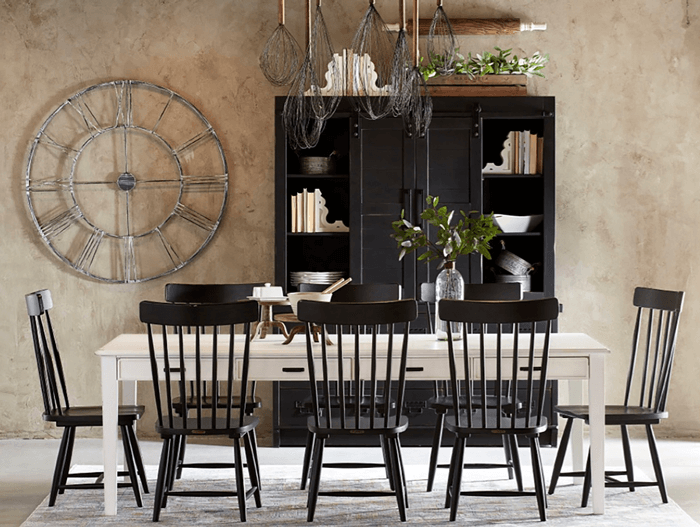 “Farmhouse rustic without a doubt,” Behr says. 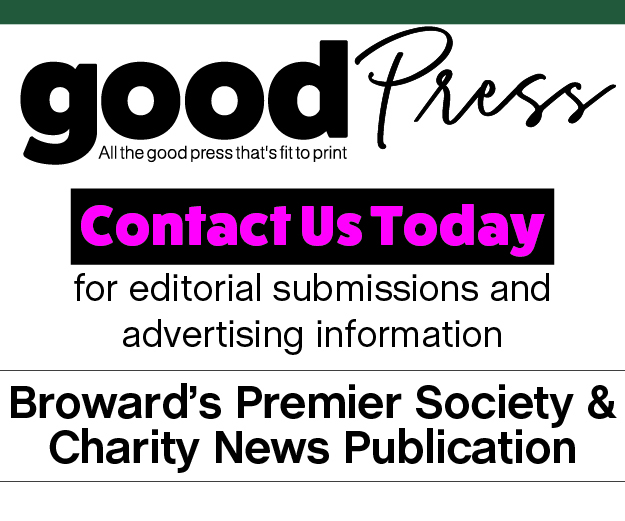 She credits the spike to the popular HGTV television show, “Fixer Upper,” starring Joanna and Chip Gaines, which enjoyed a five-season run that ended last spring. Along the way, the Gaines’ have produced books, opened a restaurant, and developed clothing and home decor lines under their moniker, Magnolia. Their “Hearth & Hand with Magnolia” collection at Target has enjoyed great success, with prices ranging from around $15 to $200. Behr says the trend has been especially popular with millennials, and she’s not wrong. Gone are the days of being able to gather “design-spiration” only from catalogs. Now, millennials are doing it with a swift double-tap on apps like Instagram. The hashtag #farmhousestyle has 1.8 million posts, and #midcenturymodern has 2.2 million. But just because you can find Mason jars and plaid throw blankets all over the aisles of Target doesn’t mean that farmhouse rustic is the only interior design trend to watch for in 2019. The hashtag #interiordesign has 54 million posts for a reason. People love to revamp and reimagine their spaces. So, in addition to Behr, Lifestyle checked with other local home design gurus about what’s on their radars. 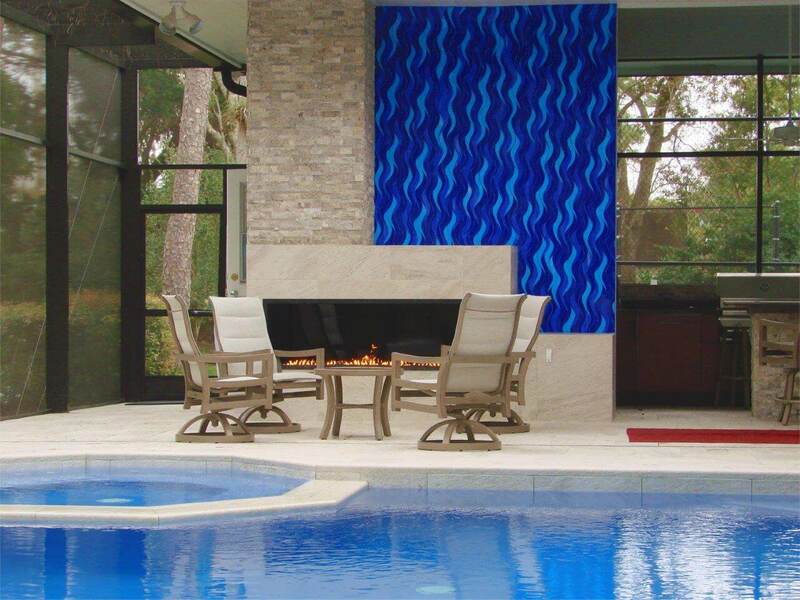 From using outdoor-friendly fabrics inside to creating an outdoor oasis, here are five trends to look out for, say the pros. The trend: With hotel and restaurant rates rising, many homeowners are taking the staycation trend as literally as possible, making their home—including outdoor spaces—feel like a destination spot. How to achieve it: Make your grill the focal point. You can do this by creating a centerpiece around whatever you’re cooking on, with countertops or mobile islands. 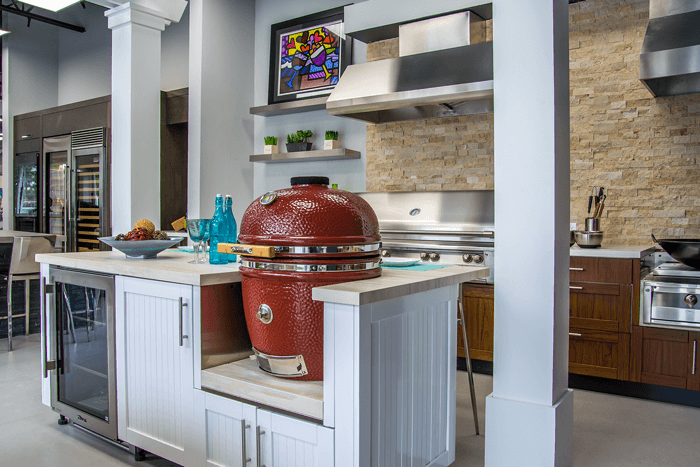 “Even if the space is limited, an existing grill can be built into a custom-designed workspace,” Feinberg says. From there, the sky’s the limit. For an outdoor area, Feinberg suggests elements like cabinetry, a pizza oven, maybe an outdoor refrigerator or one for wine. “Add some comfortable outdoor seating, and your backyard will rival any luxury resort around,” he says. The trend: Farmhouse rustic is a mix of warm, country charm but with an added twist of industrial function. It’s a mix of textiles, natural fabrics, vintage-inspired items, and wood and metal furniture that work together to create a nostalgic feel. How to achieve it: This look doesn’t have to cost much. In fact, Behr says it doesn’t have to cost anything. The magic is in incorporating personal items like hand-me-downs, family heirlooms and old photos. Other pieces suggested by Behr to achieve the trend include: an oversized clock, shiplap walls, industrial furniture and barn doors. Other items suggested by Country Living include antique trunks, decorative plates to use or to display on a wall, a chalkboard, Mason jars and fresh wildflowers.